A majority of organizations have included IoT as part of their strategic plans for the next two to three years, IDC said last week. No one vendor can meet the diverse IoT needs of all those users, so they're joining forces and also trying to foster broader ecosystems. General Electric and Germany's Bosch did both on Monday. The two companies, both big players in industrial IoT, said they will establish a core IoT software stack based on open-source software. They plan to integrate parts of GE's Predix operating system with the Bosch IoT Suite in ways that will make complementary software services from each available on the other. The work will take place in several existing open-source projects under the Eclipse Foundation. These projects are creating code for things like messaging, user authentication, access control and device descriptions. Through the Eclipse projects, other vendors also will be able to create software services that are compatible with Predix and Bosch IoT Suite, said Greg Petroff, executive director of platform evangelism at GE Software. 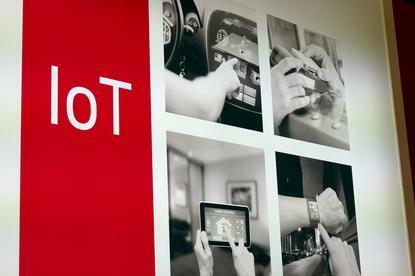 If enterprises can draw on a broader set of software components that work together, they may look into doing things with IoT that they would not have considered otherwise, he said. These could include linking IoT data to ERP or changing their business model from one-time sales to subscriptions. GE and Bosch will keep some parts of Predix and IoT Suite unique and closed, Petroff said. In the case of Predix, for example, that includes security components. The open-source IoT stack will handle fundamental functions like messaging and how to connect to IoT data. Partnerships and open-source software both are playing important roles in how IoT takes shape amid expectations of rapid growth in demand that vendors want to be able to serve. Recently, IBM joined with Cisco Systems to make elements of its Watson analytics available on Cisco IoT edge computing devices. Many of the common tools and specifications designed to make different IoT devices work together are being developed in an open-source context.